When Real Estate Investors Die, Families Go To Court | Your best resource for buying, selling, owning and investing in duplexes and duplex homes. Did you know that 95 percent of all estates have to go to court to sell a Minneapolis house or duplex even even if the owner had a will? Probate court has existed in the United States almost since the country was founded. Probate is the legal process for the transfer of assets in a deceased person’s estate. It always takes place in the county of the decedent’s residence, or the county in which a piece of real estate is owned. The court validates the terms of a will, pays off any creditors and distributes any remaining assets to the heirs. All the case’s terms, including the will, are public information. In other words, anyone can know everything you left your heirs; simply by going to the courthouse. If you own investment or residential real estate, or simply just don’t want people to know your business, there is a way to keep the details private. That is to form a trust. 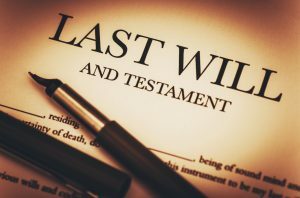 While I am not an estate planning attorney, I have recently experienced the opportunity to learn first hand about the process of losing a loved one who owned rental property. My family member had a trust, and as a result, rather than having 3000 things to do to settle the estate, we only had 2500. Yes, that was an exaggeration, but not much. Planning for our own end is an unpleasant topic for all of us. So we put it off and leave our loved ones with a mess. Rental property is complicated for someone who’s never done it. Banks require mortgage payments, and the utility company wants to be paid; regardless of whether we’re dead or alive. Ask someone for a recommendation for an estate attorney and take the time to set up a trust. It’s important we make it as easy as possible for those we loved.